The Georgian opposition has started collecting signatures against Mikhail Saakashvili after the authorities declined their ultimatum to organise a referendum on early presidential elections. “We have other priority tasks at the moment, like protecting the country’s borders, giving jobs to people and providing cheap credits and insurances,” said Akakiy Minashvili, Chairman of the Committee on External Relations in the Georgian parliament. He explained that the organisation of the referendum will distract attention from those important goals. 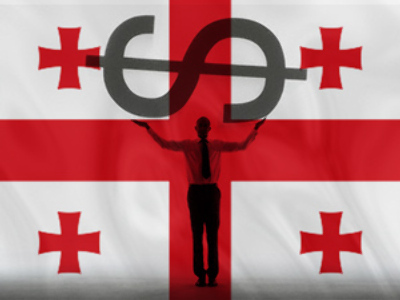 So the Alliance of Georgia says that the government has left them no other choice but to act. The ten-day term they gave Saakashvili to decide on the referendum expires at midnight on Friday. The movement, which unites the Republican Party and the New Rights Party of Georgia, place great hopes on the signatures they gather. The movement doesn’t say how many signatures they are hoping to gather but they have already set up special polls at metro stations, encouraging passengers to express their views on whether the Georgian president should go. 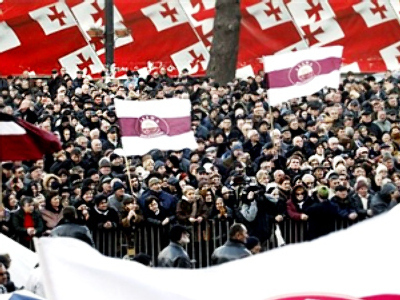 The opposition claims that every day Saakashivili stays in power is a threat to Georgia’s future, as his rule is leading the country to international isolation. “Saakashvili just doesn’t have the political will to make the right decision and retire,” Alasania added. Meanwhile, eight other opposition parties are preparing a major protest set for April 9.